. "HEC Montréal". The Canadian Encyclopedia, 14 December 2015, Historica Canada. https://www.thecanadianencyclopedia.ca/en/article/hec-montreal. Accessed 23 April 2019. HEC Montréal (formerly École des hautes études commerciales de Montréal), Canada’s first business school, was founded in 1907. Today, the school welcomes over 13,000 students and trains more than 8,000 executives and managers every year. 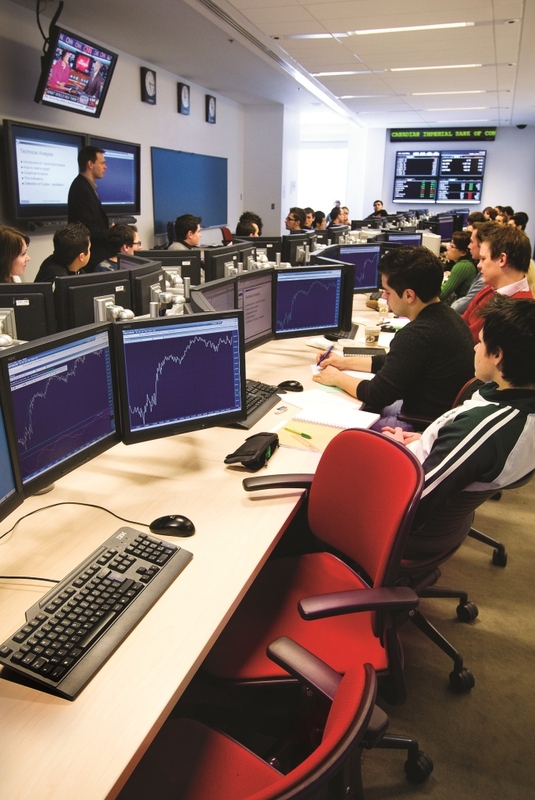 Trading room, 2015 (Courtesy of HEC Montréal). HEC Montréal (formerly École des hautes études commerciales de Montréal), Canada’s first business school, was founded in 1907. Today, the school welcomes over 13,000 students and trains more than 8,000 executives and managers every year. It holds the world’s three most prestigious accreditations in management education — AACSB International (United States), EQUIS (Europe) and AMBA (United Kingdom) — and is regularly listed in major international rankings by such publications as AméricaEconomía, Expansión, Forbes and The Economist. HEC Montréal is affiliated with the Université de Montréal and is located in a green setting on Mount Royal, in the Montréal Côte-des-Neiges neighbourhood, just minutes away from two main metro stations. 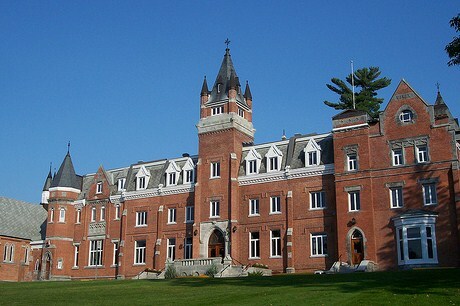 In 2008, the Canadian government designated the founding of the school as an event of national historic significance. 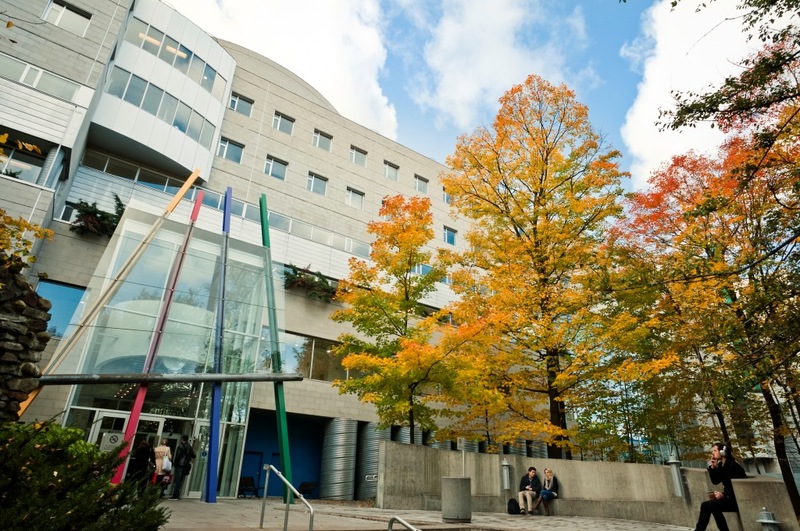 HEC Montréal’s programs, which number over 50, include a Bachelor’s in Business Administration (BBA) with a multilingual focus — a unique concept in North America. In addition to a Master of Science in Administration (MSc) with a choice of 18 specializations in French, 2 of them also in English, the school offers an MBA in French and in English, along with an Executive MBA in co-operation with McGill University. A PhD in Administration, bringing together the latest thinking in management and research orientations from both Europe and North America, is offered in French and English by HEC Montréal jointly with three Montréal universities (McGill University, Concordia University and Université du Québec à Montréal). In addition, students can choose from 25 certificates, 10 specialized graduate diplomas, 4 professional master’s degrees and numerous short graduate programs. With a 260-member faculty using innovative, dynamic teaching approaches, HEC Montréal offers programs in several languages and attracts students from 147 countries. Since its founding, the school has trained more than 78,000 students in all fields of management at the undergraduate and graduate levels. Research, development and knowledge transfer are essential parts of the School’s mission. HEC Montréal devotes over $10.4 million to research every year. 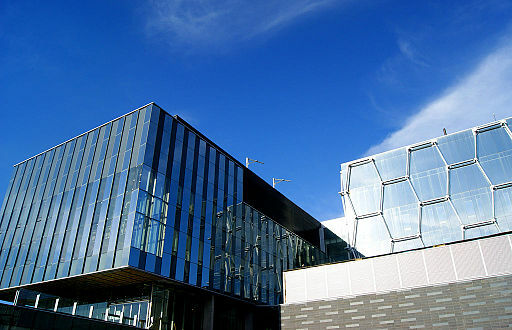 It also supports researchers by promoting synergy between the academic community and industry through a number of means, including 26research chairs, 7 of them Canada Research Chairs; 36research and knowledge transfer units; 10 active commercial licences; 2spin-off companies (Båton Simulations and imarklab) and 2 laboratories (Tech3Lab and LACED). In addition, HEC Montréal publishes 5 journals: Gestion, International Journal of Arts Management, L’Actualité économique, Management international and the International Journal of Case Studies in Management. The School also puts out HEC Montréal Mag for its alumni. 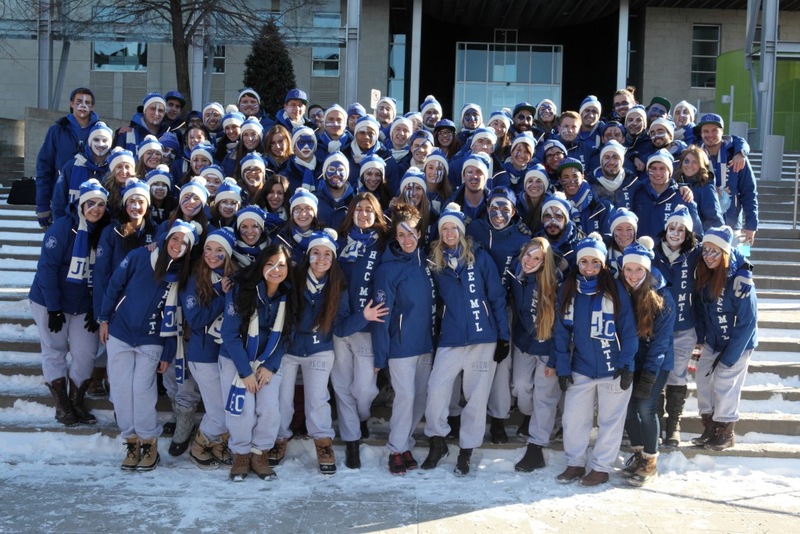 HEC Montréal places great emphasis on students’ international experience. It offers the largest exchange program in Canada, thanks to agreements with 125 other educational institutions in 39 countries, and arranges “Campus Abroad” courses for groups of students. 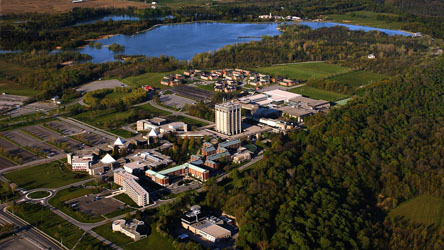 The school’s four-week summer school in business French is an immersion program unique in North America. In addition to its modern, inspiring architecture, HEC Montréal uses avant-garde technologies including modular classrooms with a cutting-edge multimedia infrastructure and digital learning environment (DLE). 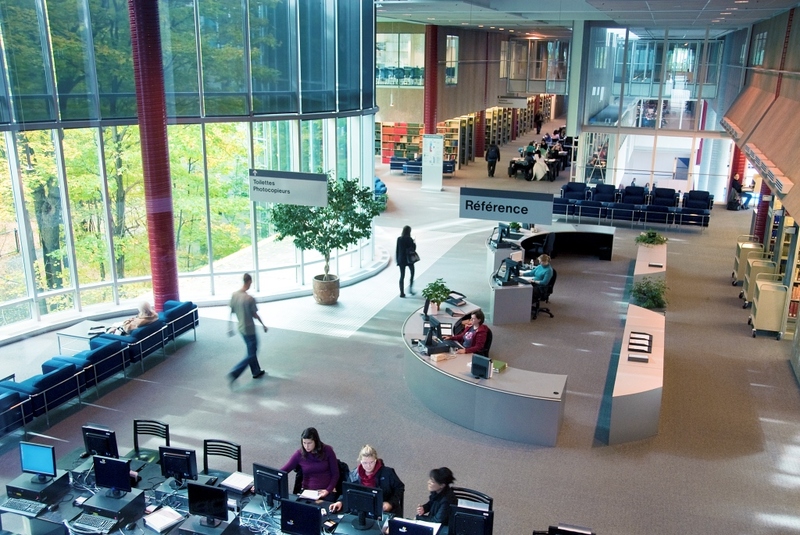 The School has one of the best-equipped trading rooms in the academic world and the largest bilingual business library in Canada. See also Business Management; Business Education. Pierre Harvey, "The Founding of the École des Hautes Études Commerciales de Montréal," Barbara Austin, ed., Capitalizing Knowledge. Essays on History of Business Education in Canada (University of Toronto Press, 2000). HEC Montréal Visit the school’s official website to learn more about its academic programs, research and international exchanges for students.